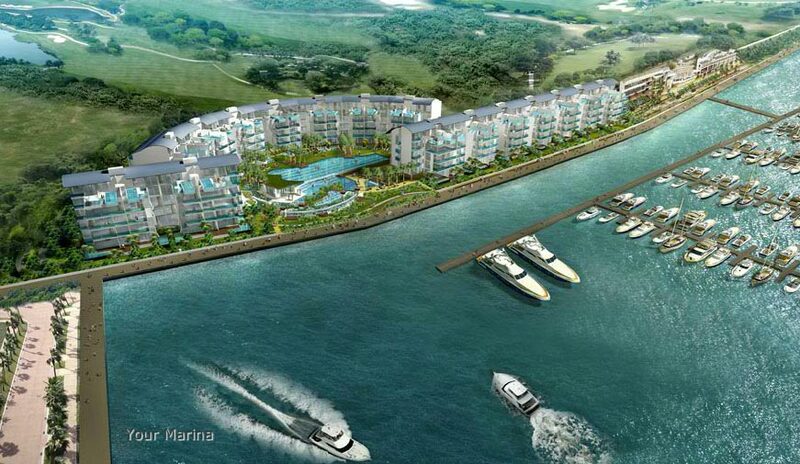 Marina Collection – a Mediterranean styled marina living in Sentosa Cove. Here we have another outstanding development by Lippo Group Ltd. This luxurious development has 40 private berths for its residents. Calming views of the waterways and Tanjong Golf Course await the privileged few who stay there. There’s nothing more rewarding than spending a lifetime at the luxurious coastline of Singapore’s waterfront living in a Sentosa Cove condo. Singapore is just a small city but has a lot to showcase to the world. Singapore living displays highly-modernized lifestyles where all amenities and facilities are within reach. What is it like living at the waterfront and working at the busy city centre? Living at the Marina Collection is just a reflection of this. The Marina Collection welcomes foreigners and permanent residents to feel and see its state-of-the art condominium. Completed in 2011, the property is now open for occupancy. The Marina Collection is complete with amenities and facilities that are fitting to any family or career individual. The quintessence of luxurious living, the Marina Collection, this iconic condominium will offer 124 luxurious units. Residents also have the integrated marina ONE°15 Marina Club, Singapore’s first casino in Resort World Sentosa and Sentosa Island entertainments within minutes reach. Adding to Sentosa Island attractions, the Pinnacle Collection is easily accessible to and from the main island of Singapore. Catching a flight at Singapore International airports is within half an hour drive away. 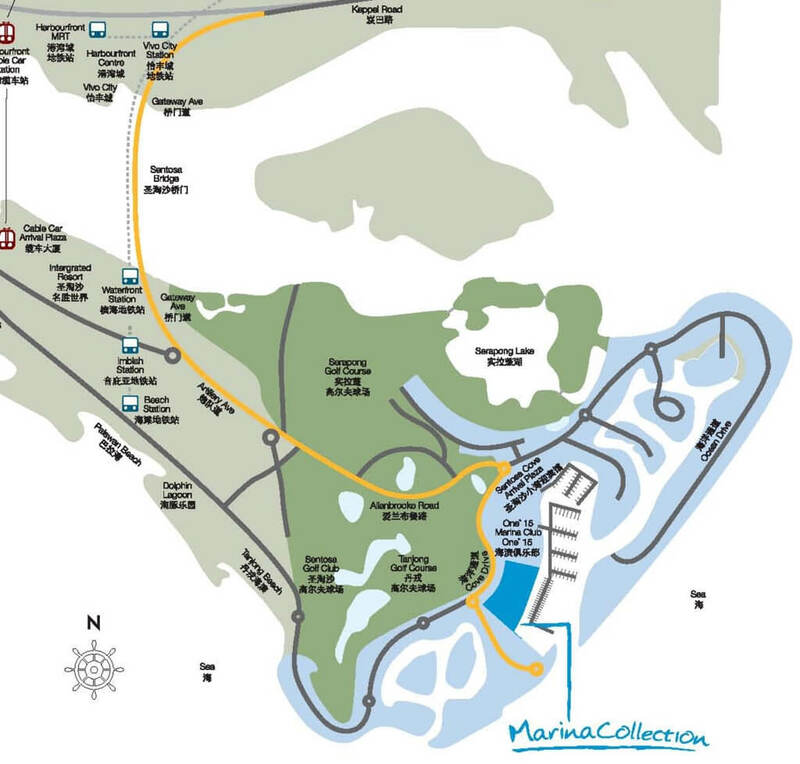 The Marina Collection is within the vicinity of the famous Sentosa Island. It is a safe and secure property that is friendly to both family and single income earner. It only takes a few minute-drives to the Harbourfront MRT Station and a 25-minute drive to the vibrant Orchard Road where a number restaurants and shopping boutiques can be found. At any rate, you need travel far for your amenities, because the Marina Collection is just close to the famous Vivocity. Vivocity is a complete business establishment where you can shop for all your needs. Banks, salons and other stores are also available for your immediate needs. You will never regret buying a unit at the Marina Collection. By having a unit in this property, you are bound to living a lifestyle full of surprises and luxury. The breathtaking view of the ocean during the day and the city lights at night are just some of the superb sights that will satisfy your eyes. Marina Collection	Overall rating:	0	out of 5 based on 0	reviews.